Best Value for the American Dollar USD in Europe this Spring. We compare the 3 Clay Masters Tournaments for your next Tennis Vacation or Honeymoon! 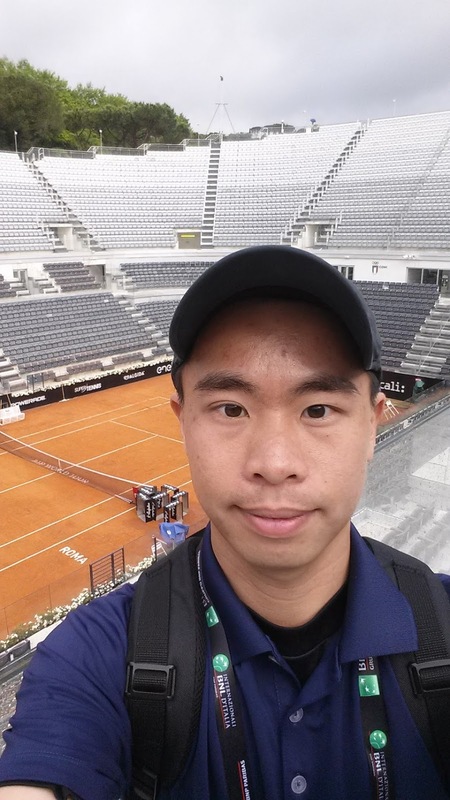 We give our tips, photos, and fan perspective on Monte-Carlo, Rome, and Madrid. The Crown Jewel of the French Rivera. 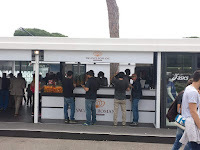 See our fun Monaco and Nice trip photos for ideas. 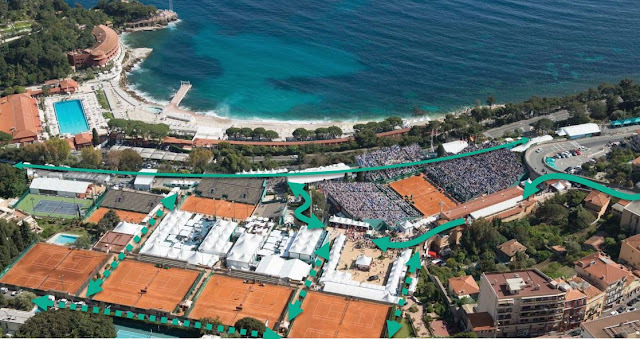 It is best to take a flight into Nice, France and then the train about 20 mins to the special stop they open only during the Tournament. Here is the ATP Behind the Scenes short video tour. Find a nice AirBnB near the Nice station or French side to save some money. I splurged and pulled a few strings for the full experience from the hillside balcony. Be warned, the French transportation system was on strike several days out of the week (listed on a schedule) when I was there. You may need to find a bus or an expensive $50 taxi to get back on those days. 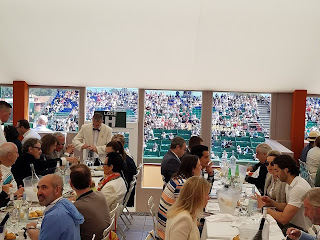 Should you want to wine and dine at the tournament, there is plenty of white tablecloth options on site with a great view of the center court from above. For a quick lunch, there is a small food market deli called "Casino" which sells a lunch combo. Get a sandwich, drink, and/or dessert (for 3, 6 and 9 Euros respectively). 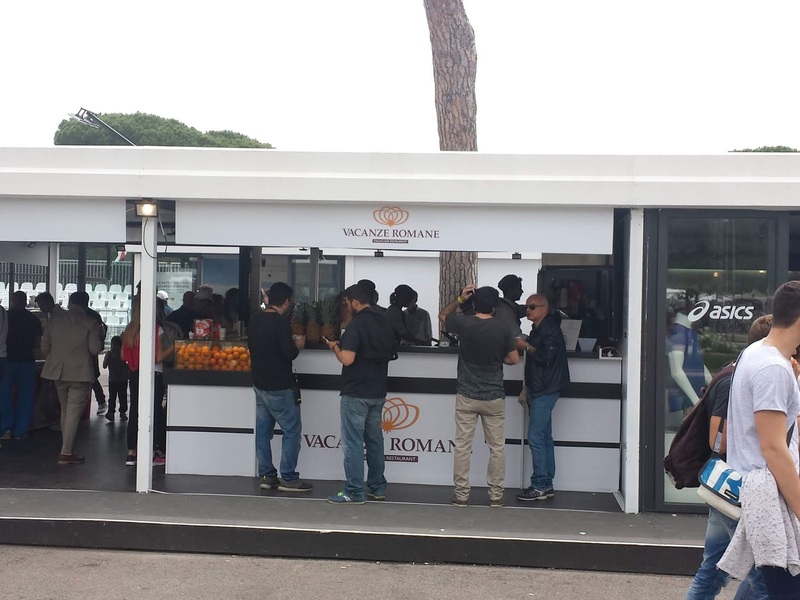 All the locals know where it is located and the tournament will let you take in your own lunch as long as it is small and in a container. The Court de Princes is a separate ticket in a more secluded venue. I actually enjoyed the 3rd stadium (the equivalent of the old Grandstand at the US Open). You can sit wherever you want and get pretty close to players such as Lopez. The high bounce of this clay favors Nadal who has won it 11 times! They should just change the national flag to Spain when he arrives. 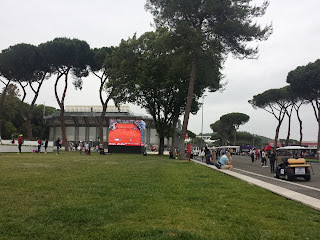 The main practice courts are usually teaming with kids up and down the castle walls trying to see Nadal. 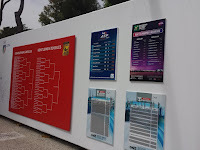 Since there are only the top male players in this tournament, the selection is pretty good but the small alleys can be tight and crowded. The main entrance and the center stadium take up the entire Right Half. It is better to make your way down the small hill and walk around the top thin green line marking where all the food, shops are located. The practice courts are all on a grid of 3 islands with 2 courts each along the bottom shown with the dotted lines. The 2nd and 3rd stadiums are nearby each other at the top left corner - there are usually better matches playing there the first few rounds. Security is extremely tight getting there and lines can be long to get in so plan ahead to go early. It is best to travel light and not bring a backpack unless absolutely necessary. You will thank me later. There is a convenient bag check service out front which is very nice but space is limited - but for just one Euro you cannot beat it! Crowds are seated closer together and in this "sunken" stadium. There are no bad seats here and even walking by above, you can hear all the shots and crowd reactions intimately. This is very much the People's Court with lots of true tennis fans. 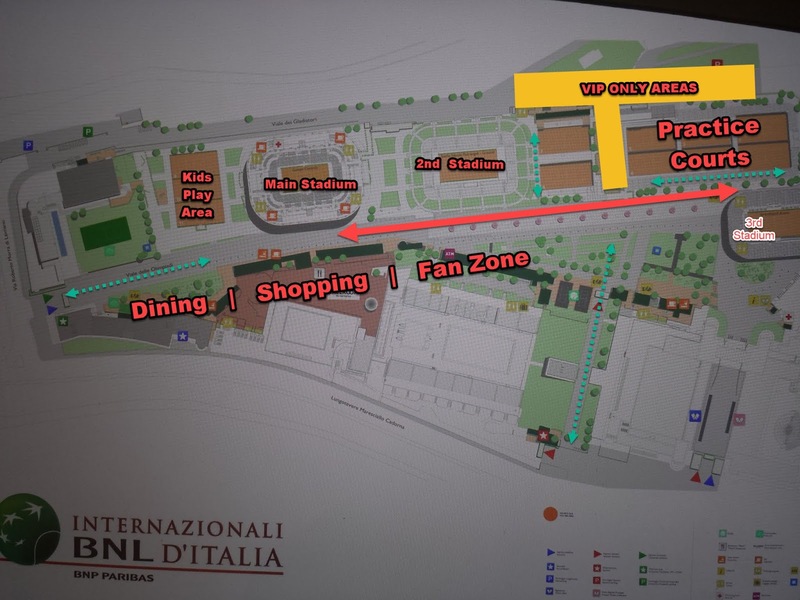 Above is an edited map of the venue. The green arrows show the paths where I typically recommend staying. The main practice court areas are a 2x3 area where most of the fans can watch from only the near side (as the backcourts are blocked off to the public but visible). You will see a lot more tennis if you stay near the Eastern Half. The 3rd stadium is all the way at the end. 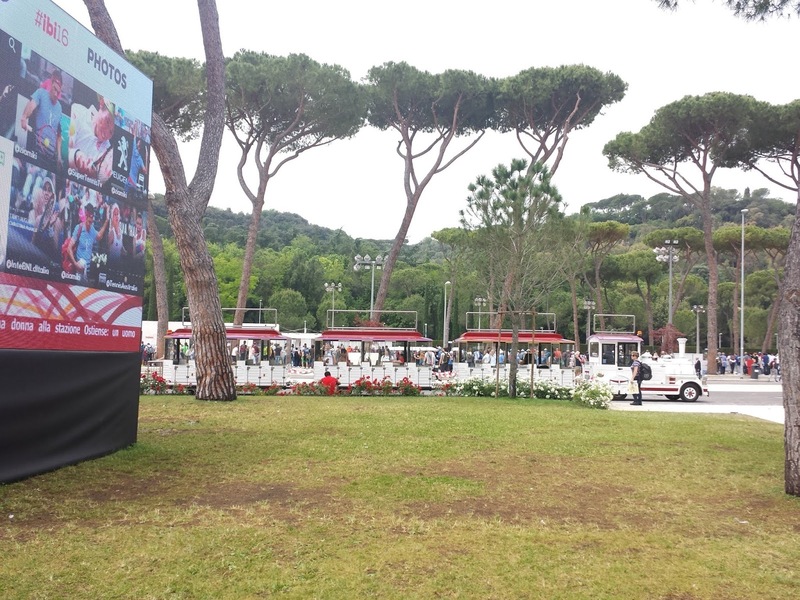 Below are more photos taken from the Grounds and Fan areas. I recommend coming from the back or side entrances located at the South East end as there can be a bottleneck in front just before the day or night session starts. 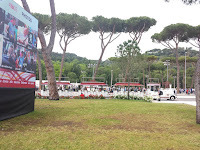 It is best to have a ticket in hand before you approach to get inside because you will be at the tip of the Giant Triangle that is the Foro Italico. Usually, this is where more of the box seat holders will go and typically only stay here. The view is very steep in traditional Collosium fashion for dramatic angles. 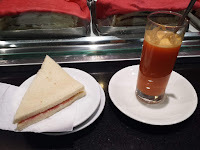 The cafe style restaurants are easy ways to grab a quick bite and drink. There is lots of small table seating on the Lower Left side near the grass. Be warned, a LOT of people smoke in Rome - that's just their thing so just make a note of it. 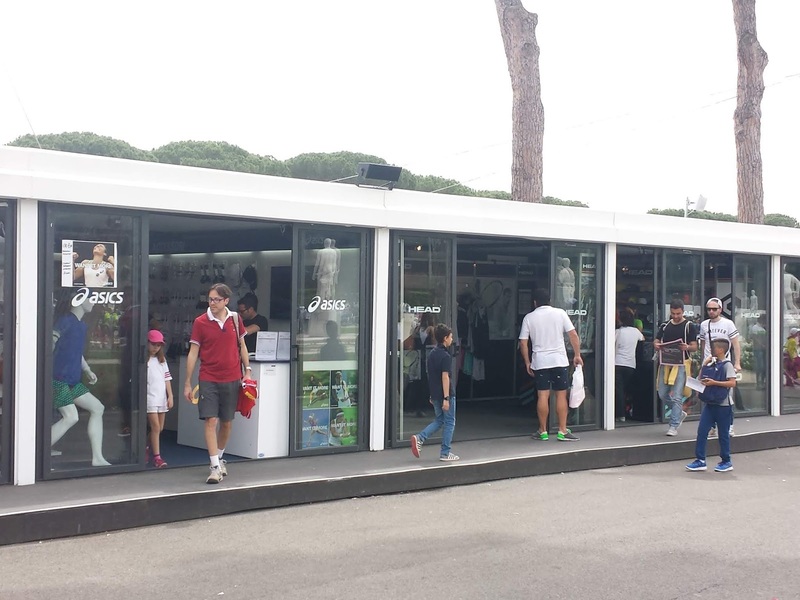 There are lots of kid-friendly activities like riding the Train, playing some tennis in the Kids zone near the main entrance, meeting the Rome Open Duck mascot. 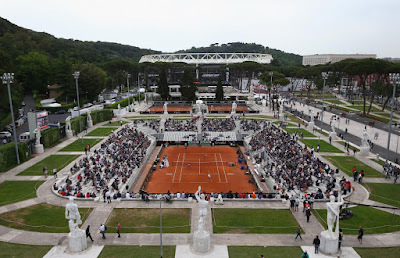 See my reasons for picking Rome as the top clay court Masters for 2016 as well as cool sights to see on a Segway in the city at night (if you are tired from all the walking). The stadium is only a short walk downhill from the Madrid Metro. The entire campus is laid out like a giant Grid floating on a large lake. The main and 2nd stadiums are adjacent on a 2 level structure. To reach the side and practice courts, walk down to the lower level and walk across a small bridge walkway that splits the court into two halves. 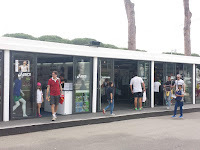 Miami Open Tennis - Last Minute Tickets! Look for deep discounts a day or two before the match day! 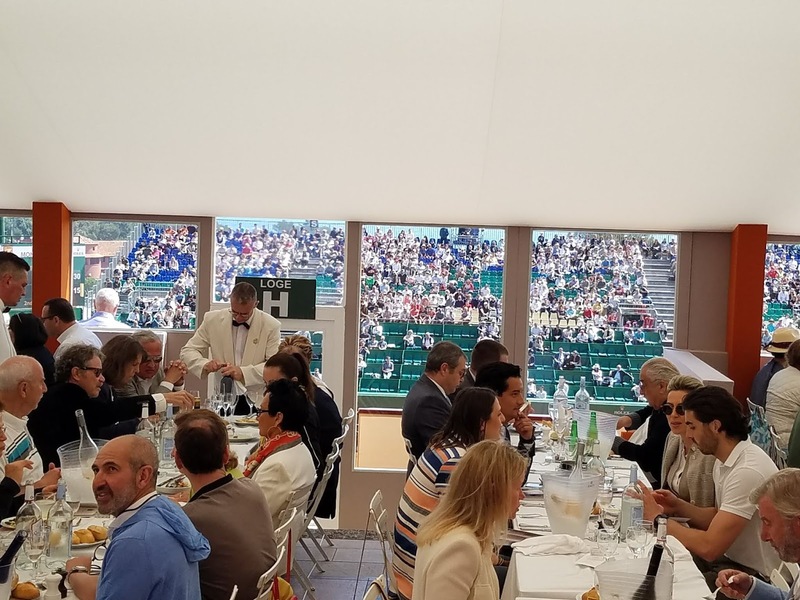 We have been to both Indian Wells and Miami Open so we can give you 1st-person advice on which tickets to purchase, where to meet the pros, what days to see your favorite player AM or PM, plus which tourist traps to avoid paying too much! Preview the events here before you buy your ticket packages! View our Player Photos from 2019 to help you identify who's who when you attend. 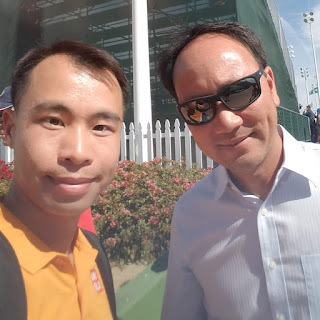 The Oracle Challenger was my chance to finally meet the Legendary Michael Chang. Just prior to the start of the BNP Paribas Open, Michael Chang as he handed out the Finals Trophies for the Oracle Challenger Winners! An inspirational hero who inspired me to play, coach and travel for Tennis. Thank you! The Top 75 Men and Women players in the world will be in attendance and so should you! We can help you figure out which one is the right tournament for you. We will provide fan updates and our fan comments on Facebook! Want to watch some live tennis this March? There are plenty of great seats for both California and Florida events coming up in March! We monitor and see re-sell Prices change daily so check back often or BOOKMARK these ticket links. Before you buy at the Box Office, check these prices for possibly a better deal. 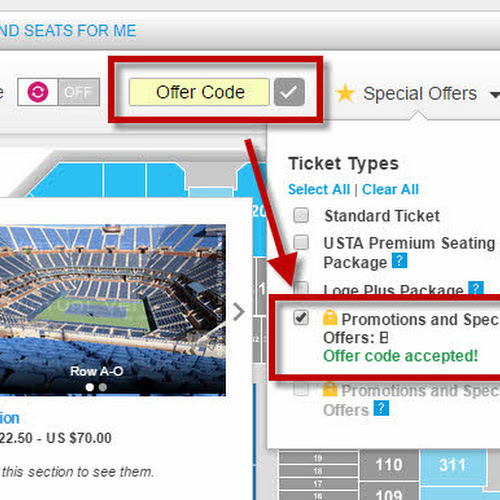 Interested in getting the best ticket prices for US Tennis Tournaments? 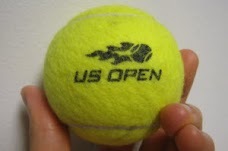 Learn how to lower your USTA annual fees down to ~$35/year plus earn Four Free Bonus Gifts with our YouTube promo codes. 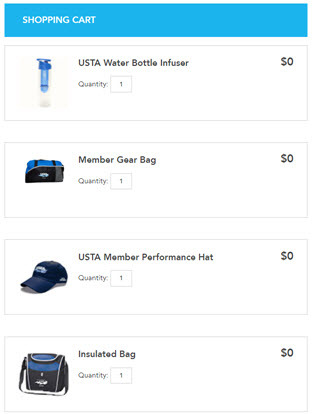 We got 4 Extra Free Gifts from USTA while paying less than the normal annual fee! FYI: only our YouTube subscribers will get to see our hidden promo codes and have a sneak peek at our upcoming videos. If you're still paying USTA $44 annually for just membership and some magazines, you're getting ripped off!